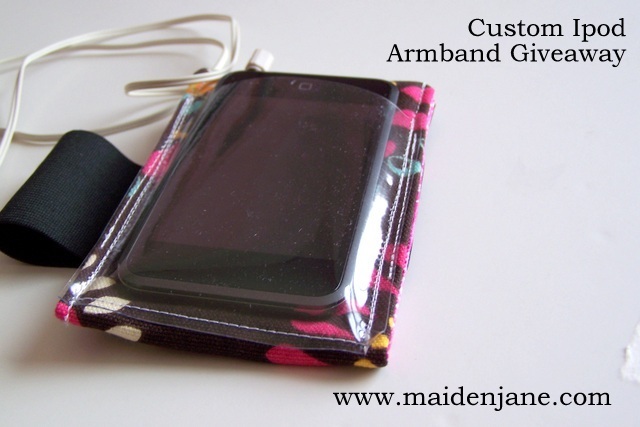 I decided, while running, to host a giveaway of one of my Ipod Armbands. I’m really happy with mine and now you have a chance for me to make you one! If you can sew, you can make your own using this tutorial. Have a great weekend and we’ll see you next week! You’re brilliant! Even if I don;t win, I’m SO getting my daughter one for Christams!